MojoTech Keeps Growing: Meet Duncan Shaw. There are people who travel, and then there’s Duncan Shaw. Duncan has lived and worked all over the world. His journey has taken him to farthest reaches of China, Australia, Japan, Germany, England and beyond. And now, we’re beyond excited to announce that Duncan’s latest stop (hopefully for a long, long time) is as Managing Director of MojoTech’s New York City office. As I’ve written about, perspective is incredibly important in our line of work. When your goal is to build apps that win, an engineer isn’t enough; you need talented designers, product managers, copywriters and perhaps most importantly, people who have been there. There’s no question that Duncan has been there (and there, and there, etc…). His experiences building successful companies all over the world bring a unique perspective to our team as we expand and do more work with global companies whose products need to meet the needs of an international user base. Duncan’s track record of knowing what it takes to successfully grow will be an invaluable resource as we work to help our clients achieve their goals. In addition to helping our clients grow, Duncan will be helping our own growth efforts as we scale MojoTech. When we had a small team, managing growth was easy. As we expand beyond 25 employees in two offices, Duncan will help us ensure that our work, our team, our culture and our relationships with clients keep getting better, and not just bigger. And did we mention he gets around? 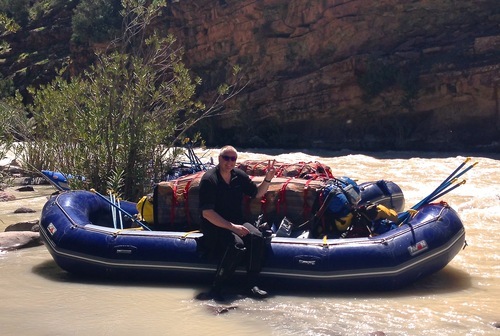 Duncan just got back from a whitewater rafting trip that took him through Spain, Morocco and France. Oh, and just for fun, he competes in five triathlons per year, and just recently finished his first Ironman. Today he is busy settling into his new desk in Soho.